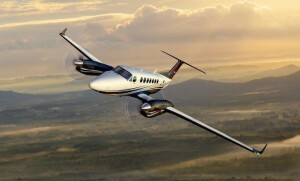 The King Air line is now part of the Textron Aviation portfolio. Cessna parent company Textron has announced it has finalised its acquisition of Beechcraft, and in the process has announced it has created a new ‘Textron Aviation’ business unit under which will sit the Cessna, Beechcraft and Hawker brands. Current Cessna president and CEO, Scott Ernest, will head up the new Textron Aviation business, but Textron says Cessna, Beechcraft and Hawker will remain “distinct brands to preserve their rich histories and respective strengths in the marketplace”. Textron reached agreement to acquire Beechcraft under a US$1.5 billion deal announced last December. Under the deal Textron also acquired the type certificates to the out-of-production Hawker 4000 and Premier IA, plus support organisation Hawker Beechcraft Services.